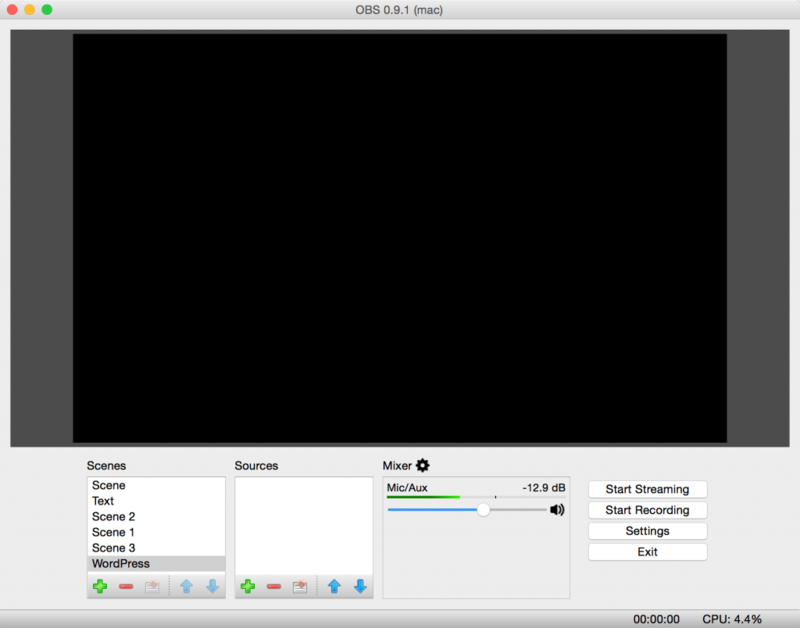 OBS has for some time been working on it’s new version of OBS which is called OBS studio, and is cross platform. Finally we are free from having to faff about with WireCast, we can now just plug and play and Stream away. BUT WAIT it’s not just that simple! 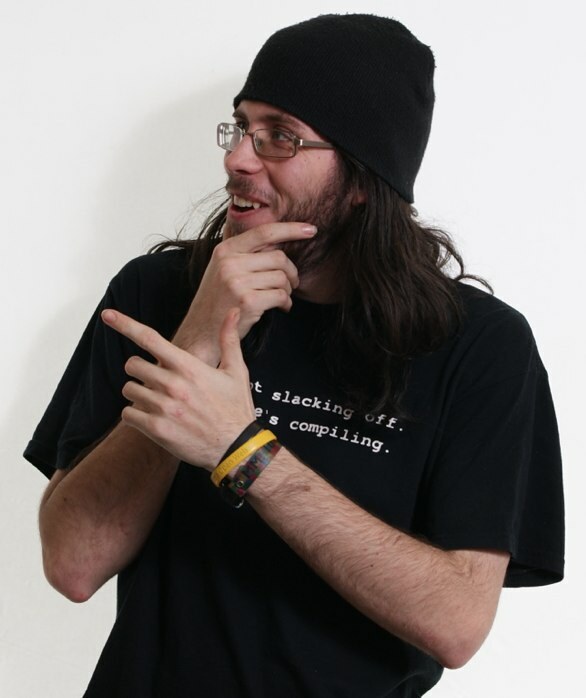 If you ever tried Minecraft’s in game streaming it will at least (force) prompt you to download additional required software to get you going. This software (whilst not needed, (well it’s not but you are a idiot if you don’t setup your audio properly)) will get your Audio going properly on OBS streaming when you are not using additional Hardware. 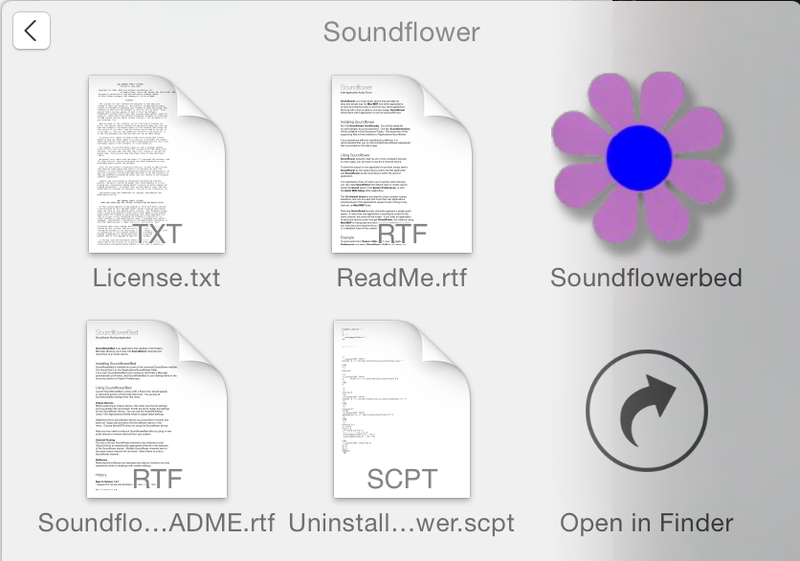 This piece of software is called Soundflower, and is an example of Virtual Audio Cabling, which basically creates a software based Sound Card inside your computer in order to route audio more usefully! 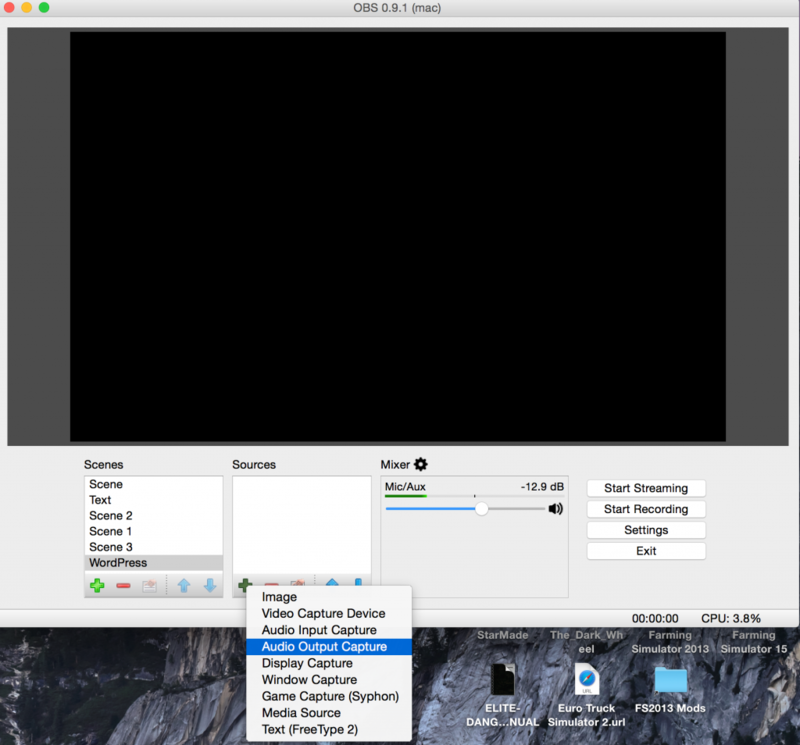 So first things first, grab yourself a copy of OBS Studio, you can find the latest version on GitHub here. Download and install! 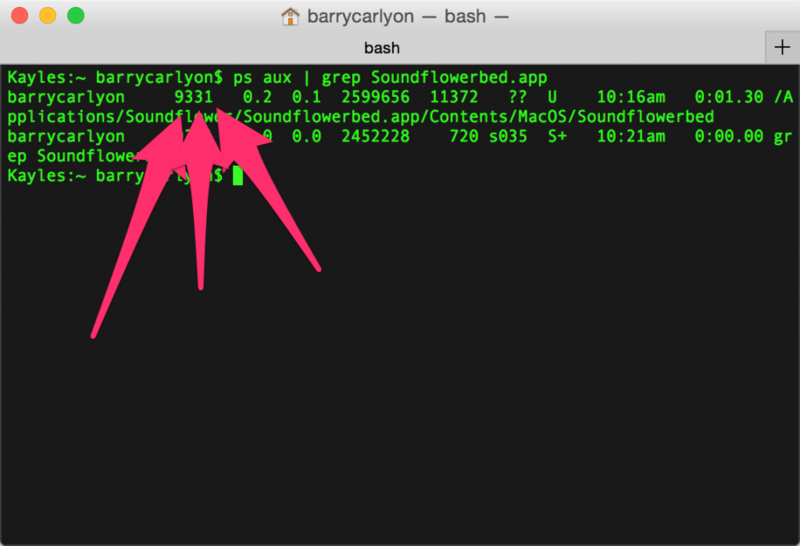 Next we’ll grab a copy of SoundFlower which is on their site here or GitHub here. 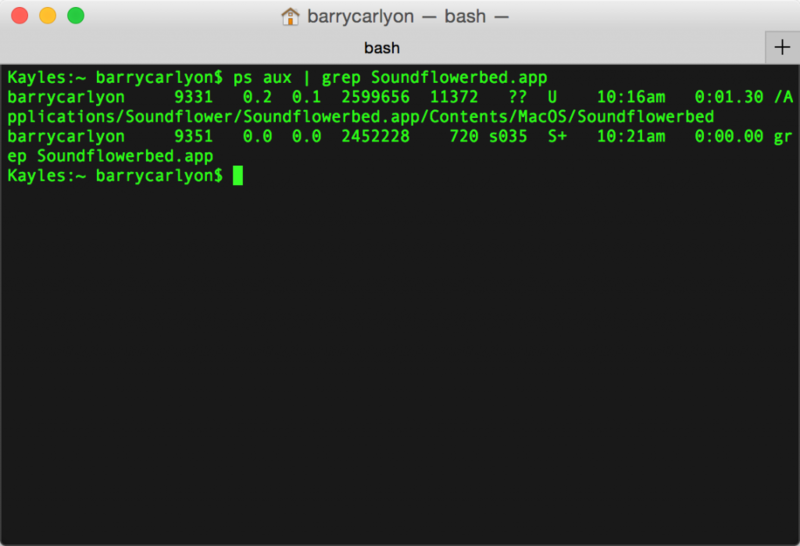 SoundFlower will need you to restart your Computer. I’ve got a few extra scenes setup, but this is the layout you’ll be presented with! 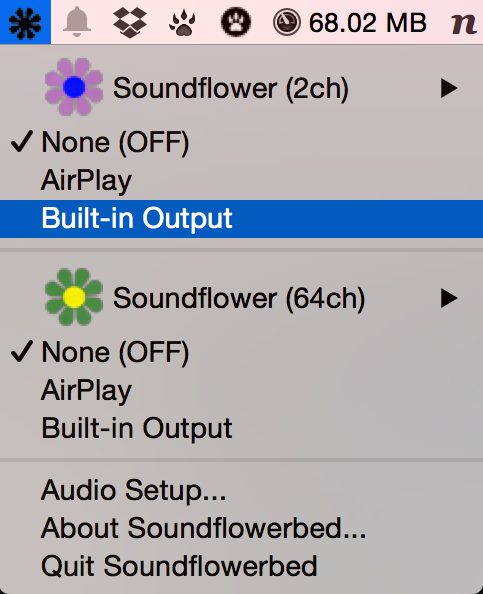 And then, to keep things simple, just select the SoundFlower 2 Channel. We don’t need to do anything wacky. 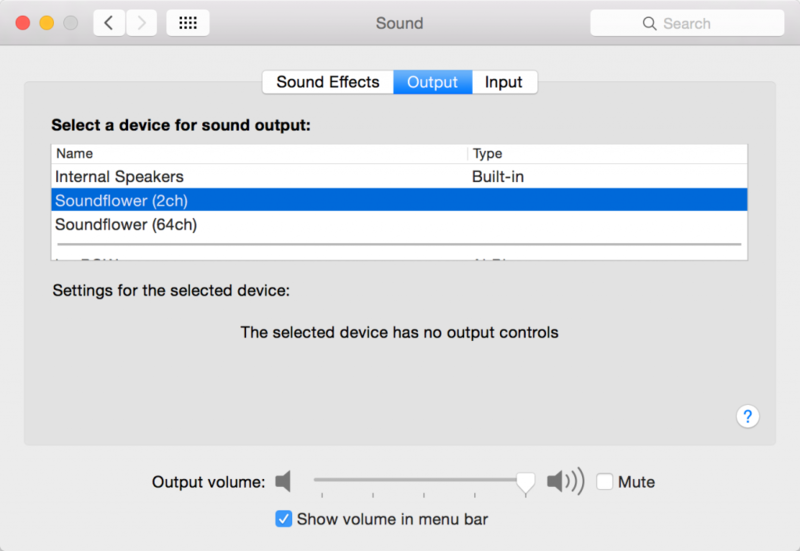 Finally we need to change the Sound Settings under System Preferences. So open System Preferences and Sound. 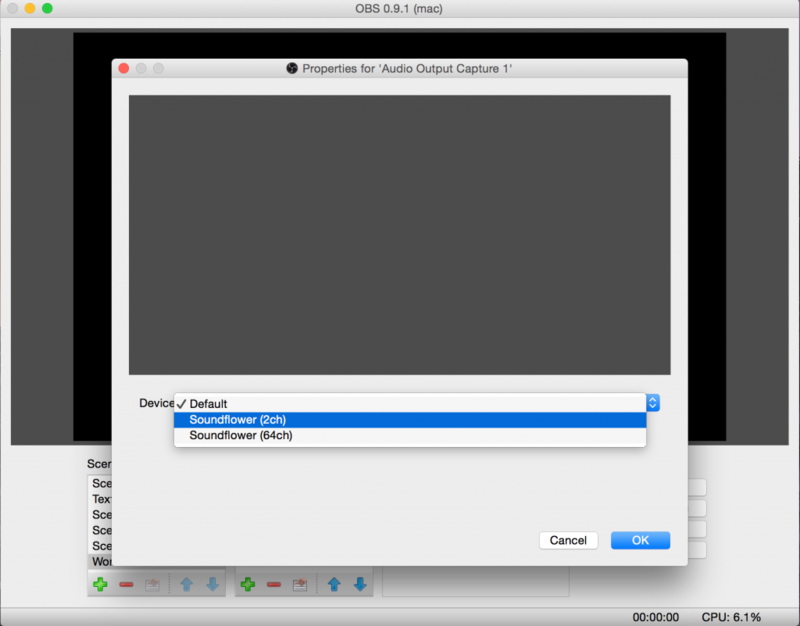 And select Soundflower (2ch) as the Output device. Just click that, and send the Soundflower (2ch) back to “Built in Output/headphones” And now both you and OBS can hear everything. 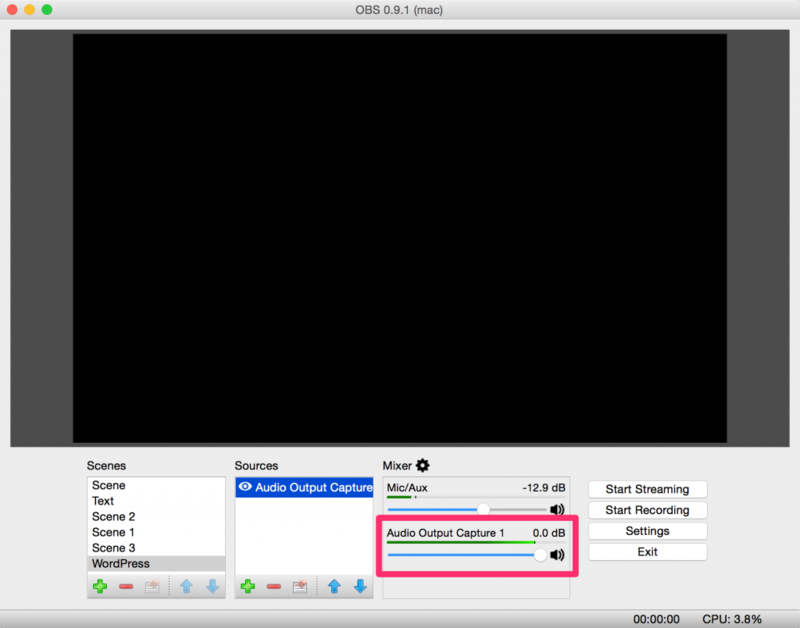 Your computer’s audio is now sent to this device and captured by OBS. (Billy May’s Voice) BUT WAIT THERES MORE! 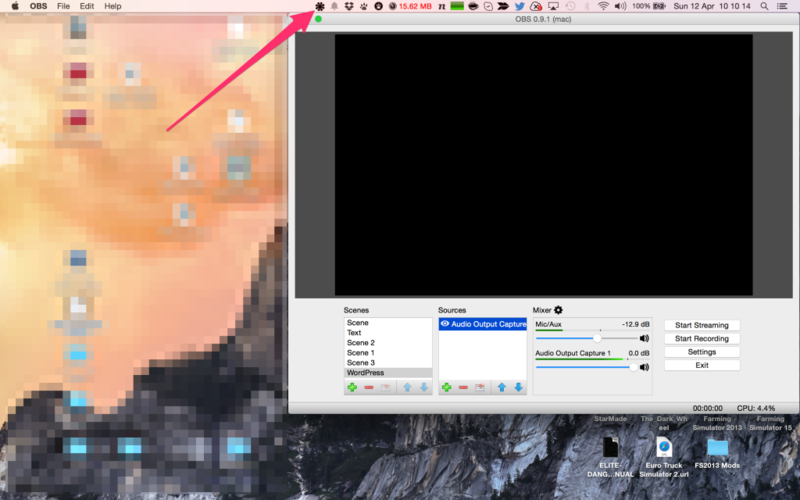 Xbox 360 Controller on Mac under Yosemite? Now what do you do if you get Beachball of Death when trying to use the SoundflowerBed Icon from the menu? It is VERY important you kill the right thing. As otherwise you might break something and have to restart the whole computer. Once you have kill’ed SoundflowerBed, just reopen and all should be good.